Look at that guy up there. The chiseled jaw. The unkempt yet still-flowing locks. The scar over one eye is an instant giveaway. Yup, he's about to kill some demons. 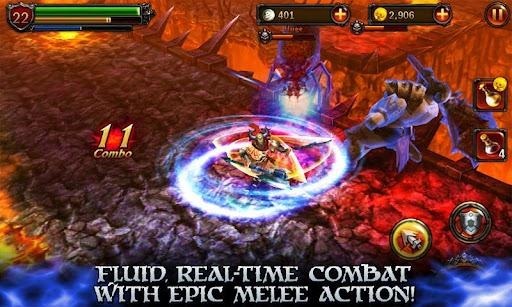 Eternity Warriors 2 is the sequel to the surprisingly popular Glu Mobile original, which has amassed over a million downloads. The epic story follows the valiant fighters of Northern Udar as they face the master of the Demon Towers, scourge of the... you know what, forget all that. In this game you kill demons. Lots and lots of demons, with a commendable variety of weapons, armor and enemies. The controls are pretty basic dungeon-crawler fare, with a d-pad, attack and special attack buttons augmented by hotkeys to healing potions. The isometric viewing angle helps show off the impressive graphics without getting in the way of gameplay. 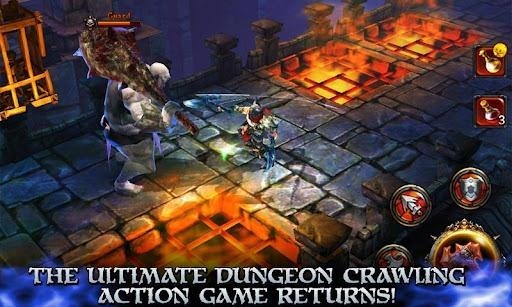 Online multiplayer with Facebook matchmaking helps you to relive your Gauntlet glory days, and the quest for ever-better loot should keep you and some friends happily chopping up the underworld's minions for hours. Upgrades to your special attacks and skills should keep things interesting. The game is free, but as is standard fare for Glu's games, in-app purchases are required for the best items. In a disheartening move, upgrading your current items with in-game currency isn't guaranteed. You'll have to gamble your hard-earned coins on an upgrade, while spending real money will guarantee success. 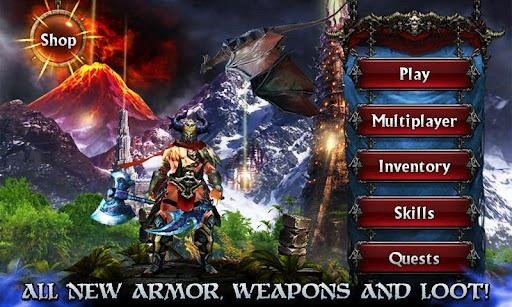 Eternity Warriors 2 is a 60 megabyte download, but you'll still need a WiFi connection. Sorry, LTE users.